As you know, I enjoy a cycle ride. 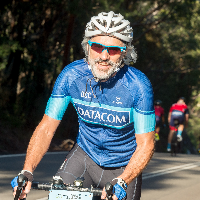 So I've registered for this year's Bobbin Head Cycle Classic, on 24 March 2019. Did you know that suicide is the leading cause of death for Aussies aged 15 to 44? Today, on average, eight people will end their lives. That's just not right. My Cycle Classic fee goes towards supporting services such as grief counselling, addictions, abuse and suicide prevention. I'd like to raise more, though - and with your help, I can. You can make a donation at my fundraising page. Sumindre Gunawardane $50.00 Best of luck! Min Jong Lee $50.00 All the best~! Malroo Kumarapperuma $35.00 Happy riding Hugh !! !